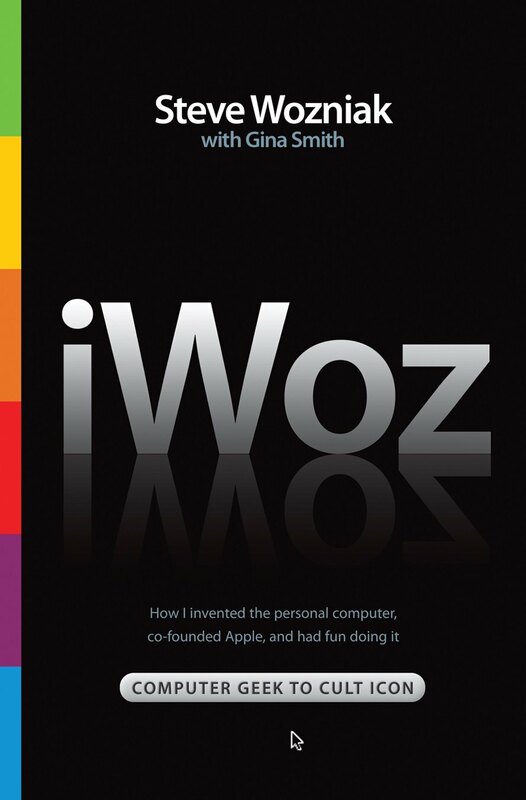 Wozniak is a published author with the release of his New York Times best-selling autobiography, iWoz: From Computer Geek to Cult Icon by Norton Publishing. His television appearances include: ABC’s Dancing with the Stars and The Big Bang Theory, The Late Show with Stephen Colbert, Conan, and The Tonight Show Starring Jimmy Fallon. 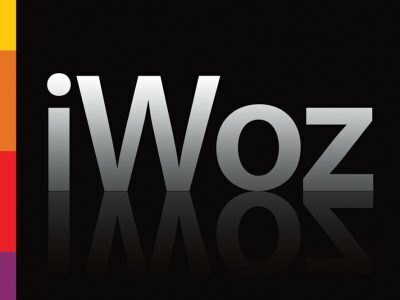 In October 2017, Steve co-founded Woz U.
Gartner Symposium/ITxpo 2014: Woz talks about how companies should exploit new technology. Woz’s quintessential appearances are in the “Chat” format; 60 minute dialogues between Woz, a moderator, and the assembled audience. The Chat format offers event hosts tremendous control over the content of the appearance and allows for a more unique and highly interactive experience for the audience. 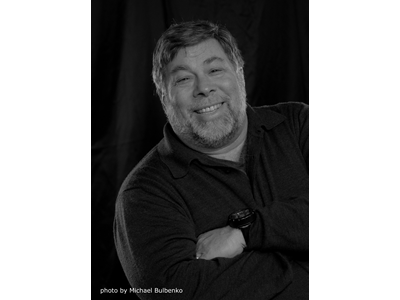 Questions asked of Woz during the Chat can be based on one or a combination of his core topics. Woz and Janet: The image in the upper left are cartoons commissioned by New Leaf of the dynamic husband and wife team. 8.11: Steve’s birthday is August 11th. Segway: Woz is one of the pioneers of Segway Polo and loves to play whenever time permits. Q&A: Steve’s format for all appearances – he loves dynamic back and forth conversations and is really an open book when it comes to answering questions on any topic. Woz and Van Halen: Steve has always been a huge fan of and supporter of music- and self-funded two amazing US Festivals in the early 80’s featuring, you guessed it: Van Halen (among others). Woz and Jobs: Images from the iconic duo’s early years……………fashionable? No. Visionary? YES. The photo of Woz and Janet that is resting on the cover of iWoz: Taken at the Dancing with the Stars season finale in spring of 2009 / Season 8. Woz was a contestant on the show, paired with Karina Smirnoff. $2 bills: If you ever see Woz in person, ask him about these. Nintendo magazine and a vintage GameBoy: Woz loves ‘old school’ video games and memorabilia. These were some gifts from a host in 2014. Photo to the upper left of the official Woz photograph (which was taken by Michael Bulbenko): Woz waiting in line outside an Apple store for the latest product release. He’s known for his warm and engaging personality and his friendliness with fans all around the world. Pranks and mischief: Woz loves a good practical joke, prank or encouraging mischief in general. He is truly a kid at heart. 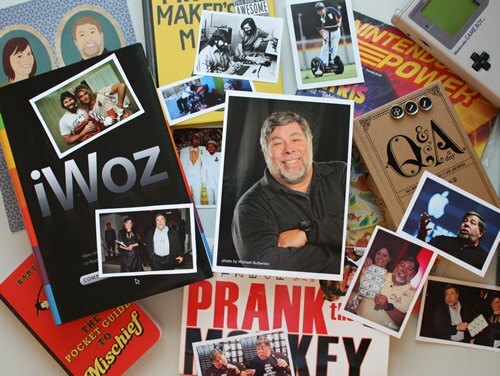 These books were included by New Leaf to reflect Woz’s love of pranks and mischief. The contents of each book remain the sole and exclusive property of their respective authors. New Leaf Speakers has represented Woz directly since 2006 and has gotten to know him quite well over all those years together. New Leaf continues to represent Woz in all negotiations on every booking and is the only agency authorized to sign directly on his behalf, committing him to make an appearance. New Leaf is also the only agency with direct access to his calendar and the ability to directly place holds on his calendar. Photo collage by Amy Gray. Feel free to use, with attribution, after obtaining advance written permission from New Leaf Speakers.